The HP Compaq 6715s appears to be a reasonable office notebook without ornaments designed for daily office work. Despite its low price, this 15.4 inch notebook with AMD technology convinces by good workmanship, ergonomics, and quality of the input devices. But, the interfaces equipment covers only the minimum requirements. The HP Compaq 6715s has a typical business-look. Due to the decent and businesslike design there is no doubt that is is actually designed for businessmen and not for end customers. So, the design of the case is simple and clear without any ornaments. At the first glance the 2.7 kilogramme 15.4 inch notebook appears to be rather huge too. Also the sparse interface equipment contributes to this impression. 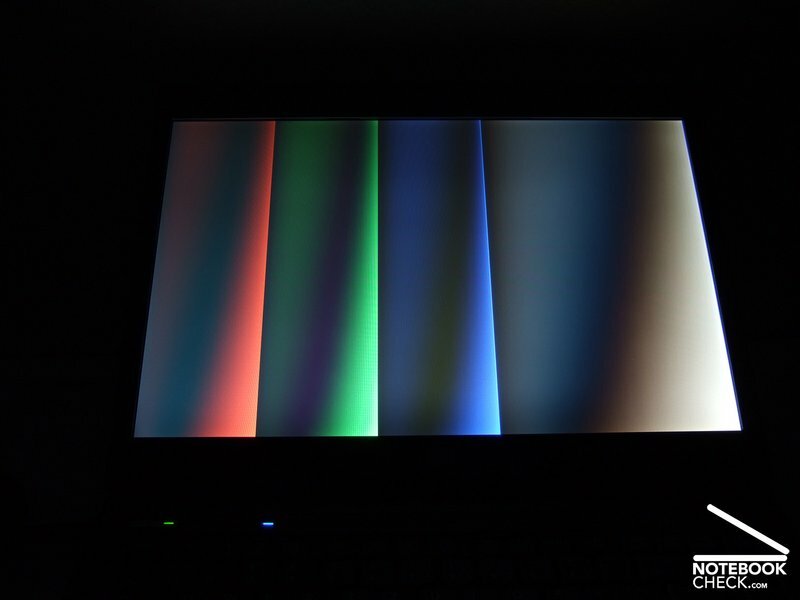 Whilst most notebooks provide many interfaces close to each other, the up to three and a half centimetre high flanks of the 6715s are sparsely populated with interfaces. Although there would be, e.g., enough space for two USB ports below each other at its left side, these are far away from each other, each of them in the middle of the side, surrounded by plastics. This way the 6715s cannot conceal its dull case. If you do not mind the conservative look, the case of the HP Compaq 6715s is actually good considering the price. Although the haptics is of course not as good as of more expensive notebooks by the same manufacturer, the stability and the workmanship of this cheap notebook's case and lid are good. Its in vain to look for big gaps, yielding parts, surfaces which are sensible to scratches. This notebook easily stands all our test, even lifting the notebook at the front edge does not cause any deformations or even creaking noises. So, it could be an exemplary in terms of case stability for clearly more expensive notebooks by some other manufacturers. This solid design gets most obvious at the lid. Even applying a lot of force at the outside does not cause any changes on the displayed pictures of the sensible LCD. The hinges hold the lid tight without any see-saw after adjusting the displays position. They can even securely support each position on a bumpy train ride. The sparse interface equipment conforms to the low price of the reviewed notebook. At the left side there are only two USB ports and an analogue VGA out. 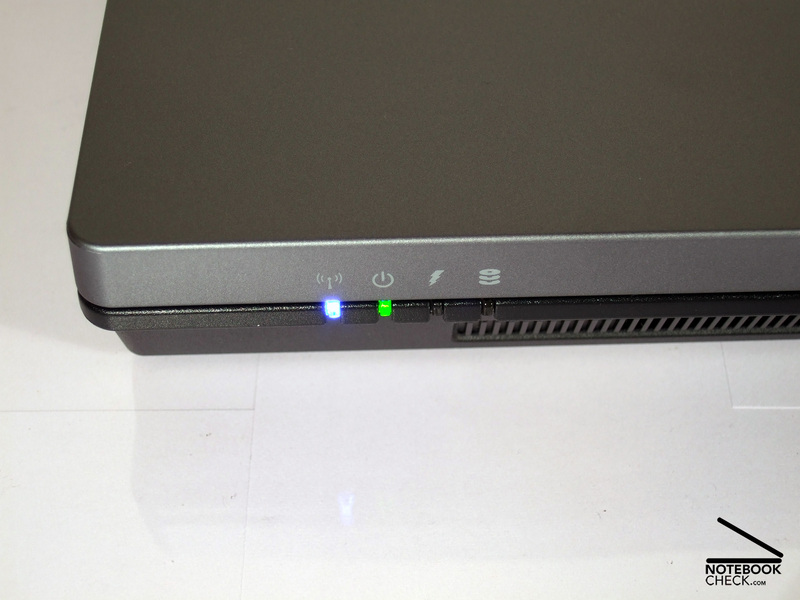 Furthermore, this notebook is equipped with a LAN and a modem port. 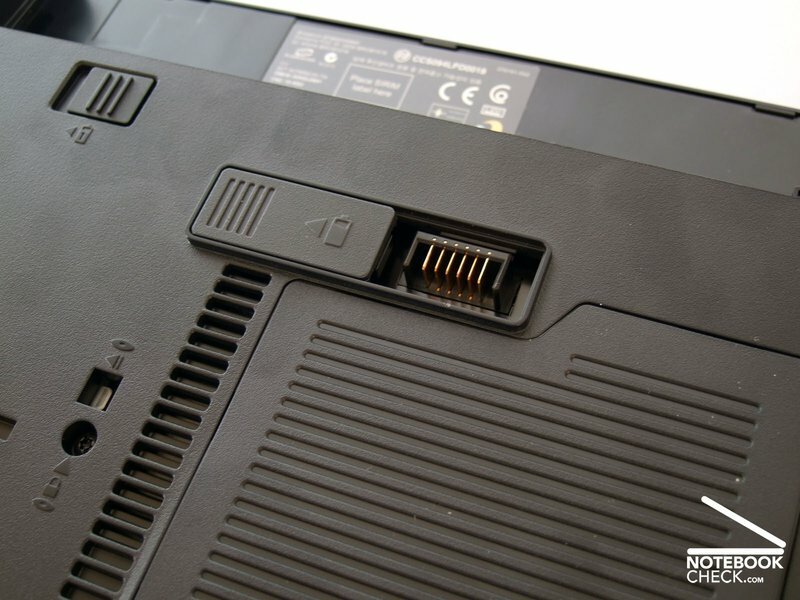 Expansion cards can be inserted into a PCMCIA slot, and ExpressCard slot is missing, alike so many other features. This notebook cannot handle any memory cards without additional peripherals. Firewire is also missing. 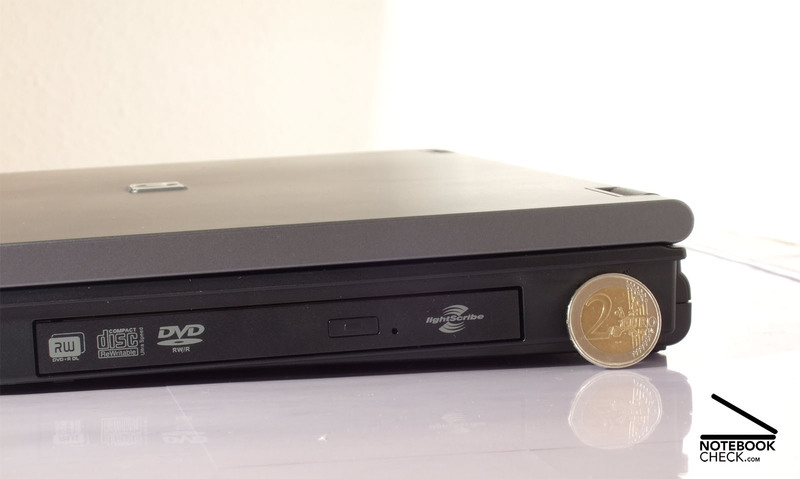 But, the built-in DVD burner can due to Lightscribe technology label special blank CDs. Furthermore, a supplement battery, which can about double the battery runtime, can be attached to the bottom side of the notebook. A built-in WLAN card by Broadcom makes wireless data communication possible. It supports a, b, and g standards with transfer rates of up to 54 MBit/s. Bluetooth 2.0, which is nearly obligatory in today's business world, is also available. 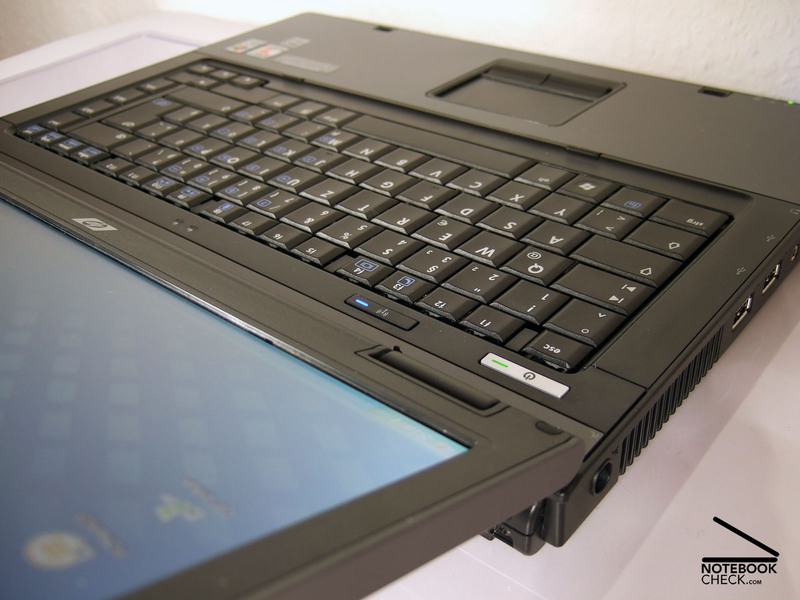 The HP Compaq 6715s does not provide security features like fingerprint reader or TPM security chip. These are reserved for the better equipped Compaq 6715b, whose interface equipment includes among other 4 USB ports, a docking port, FireWire, and a memory card reader. 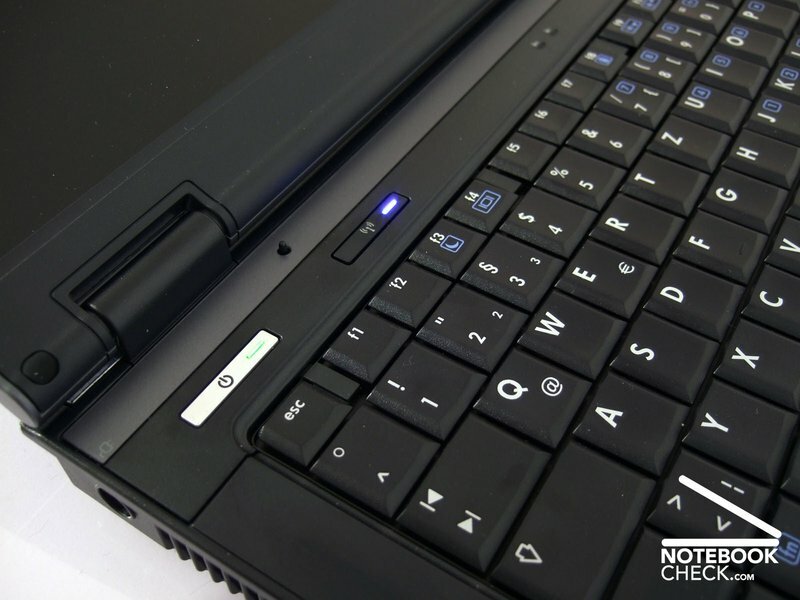 HP Compaq notebooks are known for their very good input devices for years. The HP 6715s is no exception regarding this aspect. The keyboard layout is clearly structured. The hot keys at the right side are clearly separated from the big enter-key and all keys feel nice to the touch. To summarize, the keyboard allows a fast and easy typing. The key feedback is rather firm, but, clear. The keyboard area does not yield when typing. However, you might need some time to get used to the very hard feedback and to the feel of the comparably rather simple materials. The touch pad is some millimetres lower than the surrounding case, and its borders clearly separate it from the palm rest areas. A clearly recognisable (this is unfortunately not self-evident) vertical scroll region at the right side of the precise pad with appropriate adherence, supports easy scrolling throw large documents. The according buttons work silently, but, their key travel is long, so, the feedback is not very clear. 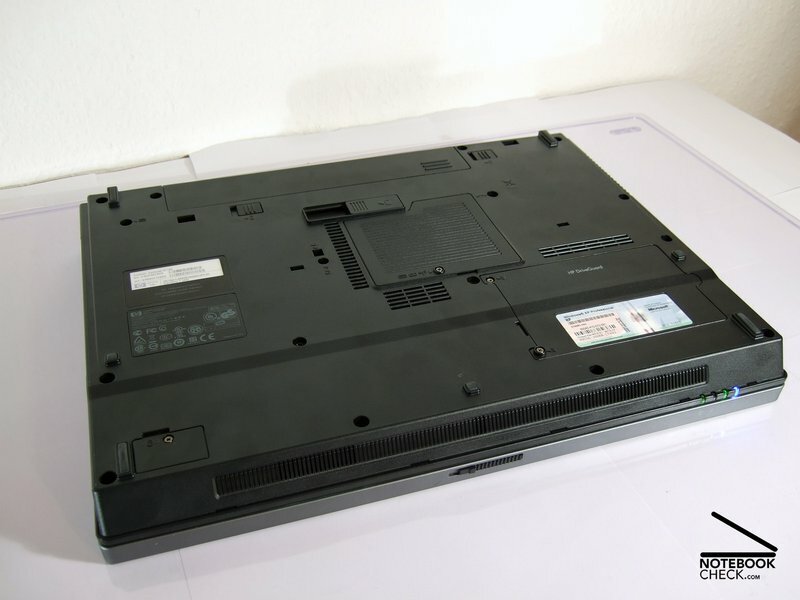 The display of the HP Compaq 6715s has a size of 15.4 inch, which is typical for this notebook category, and a resolution of 1280x800 pixels (WXGA). The reviewed notebook had a non-reflecting surface, so, it is possible to work ergonomically even if the lightening conditions of the environment are not ideal. A reflecting BrightView panel is available as alternative. 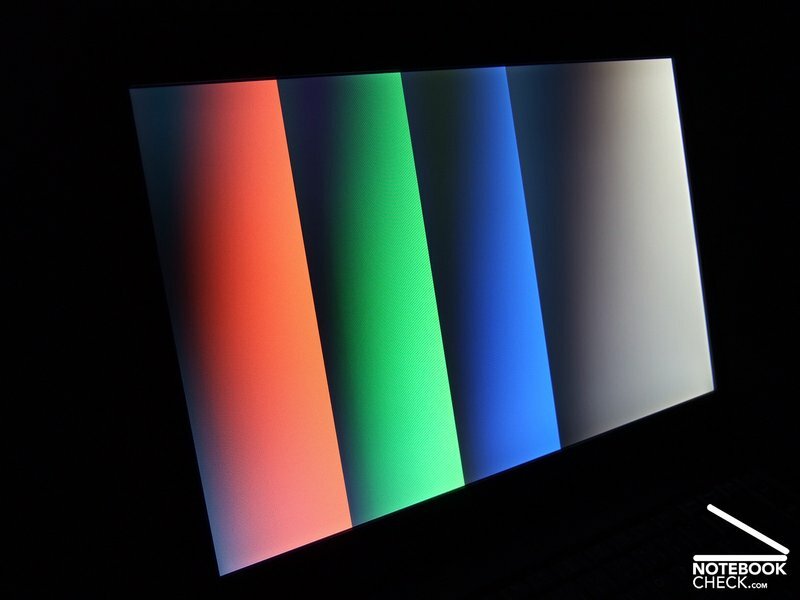 According to the manufacturer the BrightView panel has more vivid colours and a better contrast and is, therefore, especially designed for multimedia use. Nevertheless, the display is good considering the price category. Although, the editors weren't really exited, it is a good, solid screen for office and multimedia applications. Colour representation and saturation are average, the brightness is sufficient for outdoor usage and the picture even hardly blurs, when watching films. However, contrast and illumination are rather moderate. If you display a white picture you can recognize with the naked eye that the picture gets clearly darker the nearer the left edge. Some clouds can be seen along all four edges. 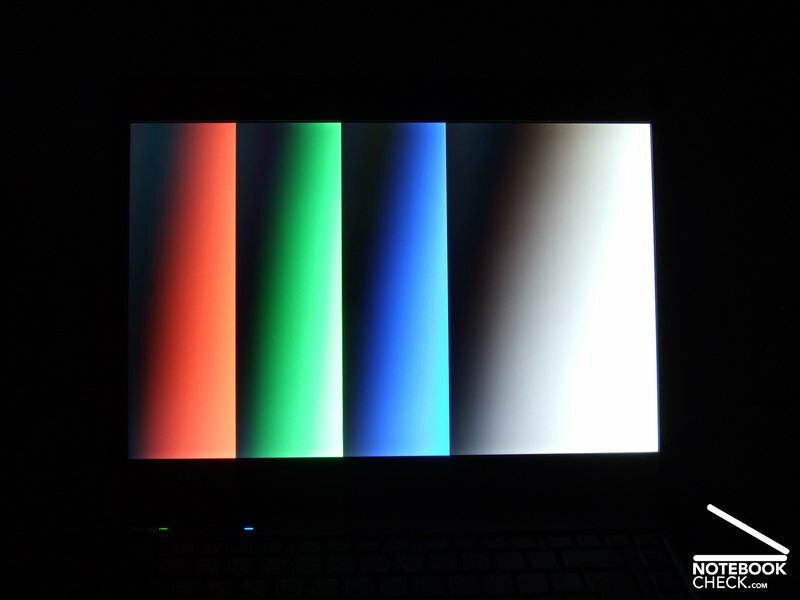 Dark pictures appear to be rather light grey than black especially in the lower part of the screen. The results of our tests prove the subjective impression. 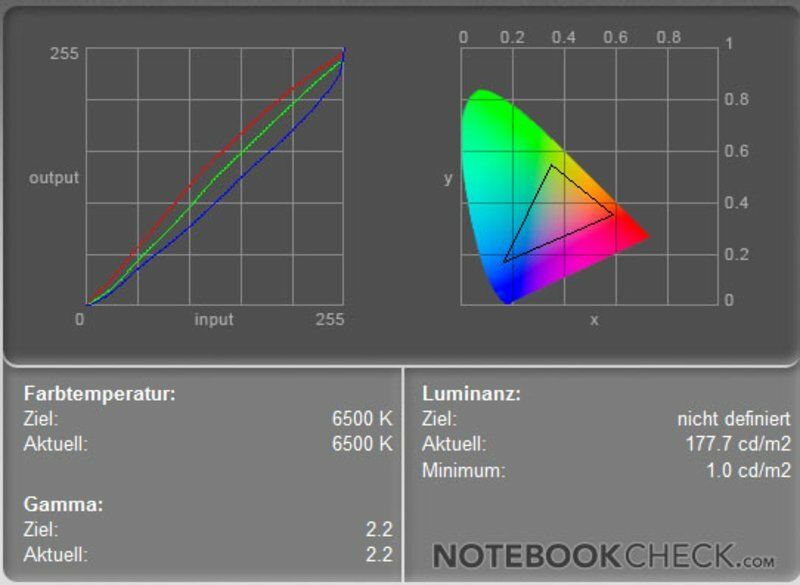 An average brightness of 128.1 cd/m² is good, considering it is a matt display. The big difference between the brightest part where we measured 166.6 cd/m² and the darkest part of the display where we measured 73.5 cd/m² is not so good. A contrast ratio of 177:1 can be at best called moderate. 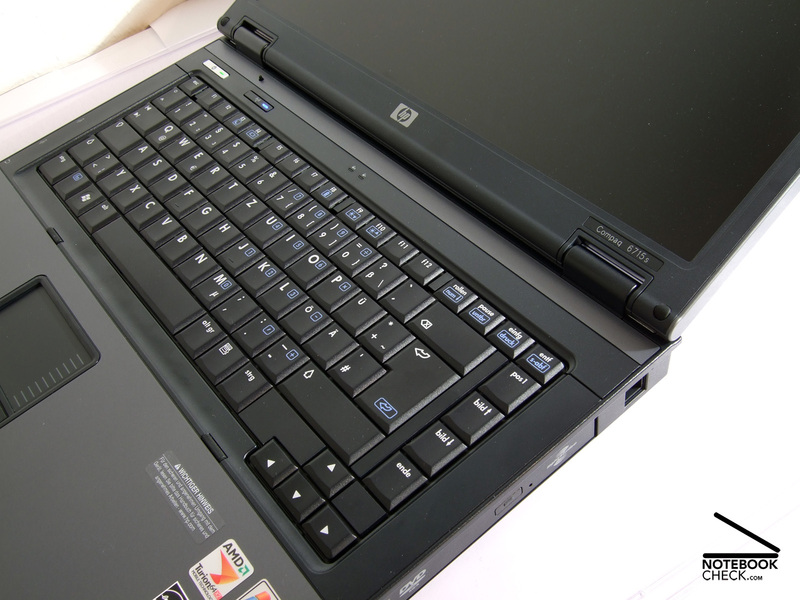 The HP Compaq 6715s is one of the few business notebooks which is equippped with a processor by AMD instead of an Intel processor. Instead of a Core-(2)-Duo CPU it comes with a less knownTurion X2 processor. 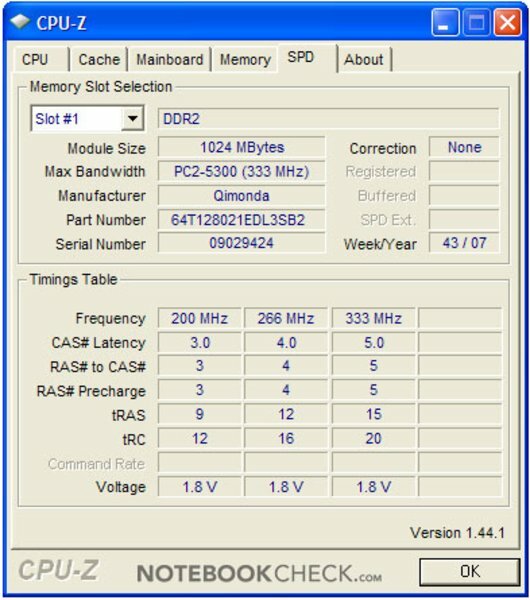 In detail it is an AMD Turion X2 TL-60 with a clock frequency of 2x 2 GHz and 2x 512 KByte L2-Cache. Although the cache is clearly smalller than the one of the competitor CPU by Intel, this AMD chip is also fit for smooth work. According to the specifications both processors have a low dissipation loss and a low input power. Sophisticated energy saving technologies are also implemented in both. Both manufacturers specify a thermal dissipation power (TDP) of about 35 Watt. However, this value say little about the actual power demand. 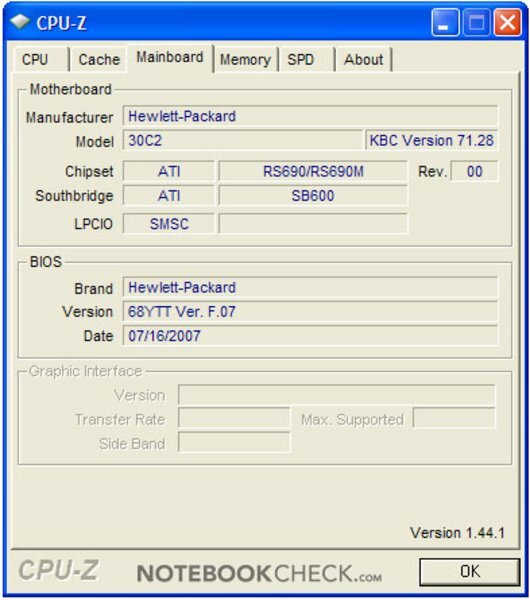 The HP Compaq 6715s is based on a chip set by AMD. 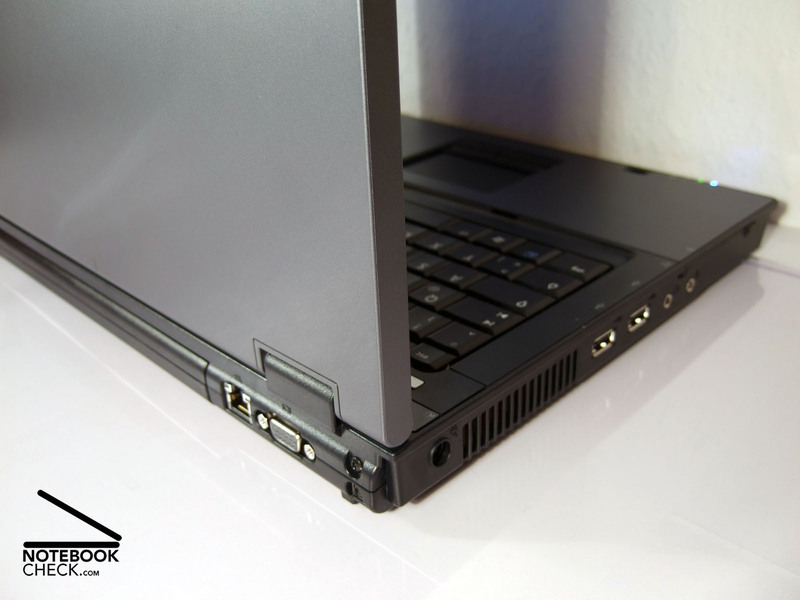 The AMD 690T provides all important features, supports two memory banks and up to four GB RAM. Furthermore, it comes with an integrated video chip by ATI. 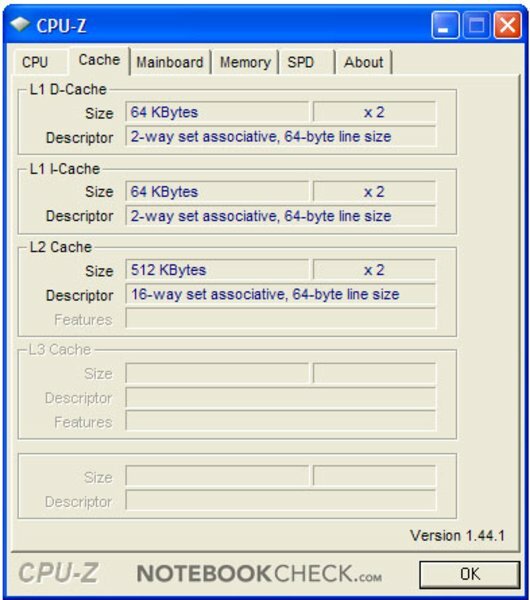 Because it is not equipped with dedicated video memory, but uses a part of the available RAM instead, the reviewed notebook, which was equipped with 1GB RAM, is in terms of performance hardly fit for current 3D computer games. The 160 GB hard disk by Fujitsu is bigger than expected and can even store big multimedia directories. The performance of this hard disk, measured with HDTune is rather good. Furthermore, the hard disk is rather silent, if accessed. The daily editorial work can be done smoothly with the HP Compaq 6715s. Regardless of whether a number of Internet pages are open, or whether big Excel sheets are analysed, the performance is always alright. This is also because Windows XP is pre-installed. Windows Vista would not work well with only one GB RAM. At the latest when upgrading to Vista a RAM upgrade is highly recommended. Due to a maintenance opening at the bottom side of the notebook even laymen can do this without problems. However, our benchmarks uncover that this AMD platform is more or less clearly outperformed by notebooks equipped with a comparable Intel processors in terms of 3D and calculation performance. While the difference is not as clear in the cumulative result of the 3DMark06, the AMD procssor is clearly outperformed by an equally clocked Intel CPU in the CPU test. The HP Compaq 6715s with AMD processor reaches 1481 points while the HP Compaq 6720s with T7250 processor by Intel reaches 1628 points. The difference is even bigger in the PCMark05 benchmark, where the first one reaches 3047, the later 3715 points - so the notebook with Intel processor is about 20% better here. 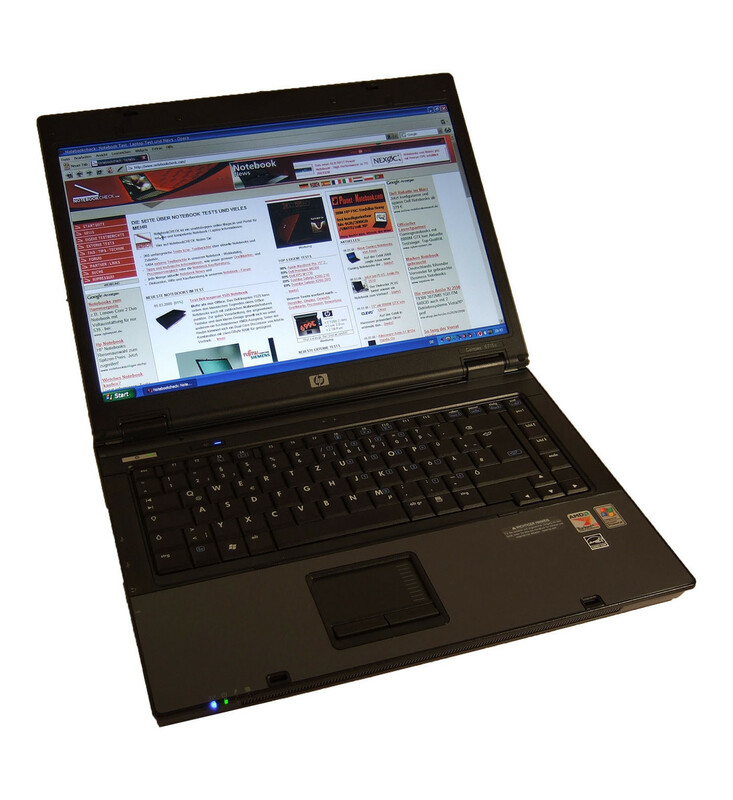 In idle mode the HP Compaq 6715s is a silent business notebook and even with the usual office workload you'll hardly hear more than a silent rustling of the hard disk. Due to a noise level of just 32.0 dB(A) the notebook is even in quiet environments hardly audible. If the demands raise for a while, a hardly audible, silent rustling fan adds to the base noise level of the hard disk. We measured a maximum about 35.0 dB(A) - a good result. 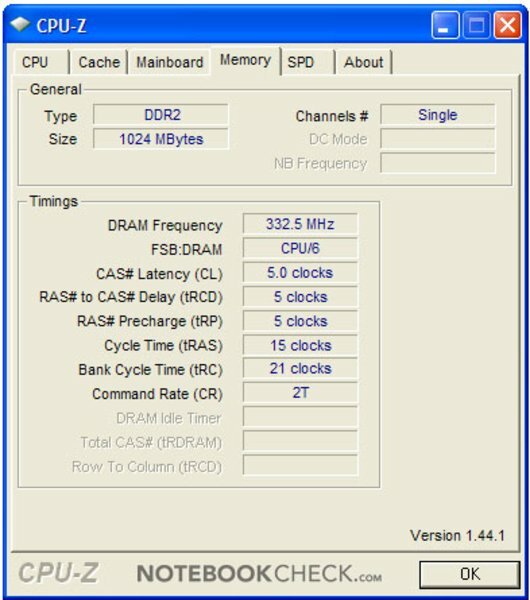 If the processor load persists the fan runs at the next higher level after a short time. However, a maximum of 40.4 dB(A) will hardly annoy even very sensible persons. 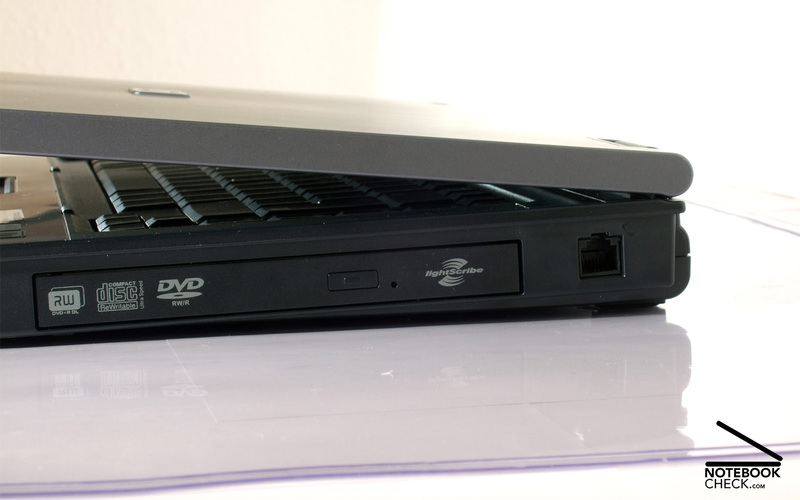 The DVD drive is also very silent, if you watch DVD films or copy data, however, the later could be quicker. Due to its big case the heating of the HP Compaq 6715s is not too high. After some hours with intensive calculation load the temperature at the surfaces hardly change. The maximum measured temperatures are 34.6°C at the top side and 36.2°C at the bottom side. So, the plastic parts get just hand-hot in practice. If only office applications are run, the temperature is even lower, although the fan does not extensively run. The sound of the two speakers at the front edge is acceptable and they do not easily blast, even if the volume is turned up. But, the sound is slightly unclear, middle tones dominate, and basses are hardly audible. Depending on the use, the battery runtime differs much. The Battery Eaters Classic test resulted in 52 minutes runtime. The runtime of the 47 Wh battery in the non-demanding maximum runtime test, is four and a half hours with minimum brightness - a good result. In WLAN test with maximum brightness the AMD notebook has to be recharged after two and a half hours. 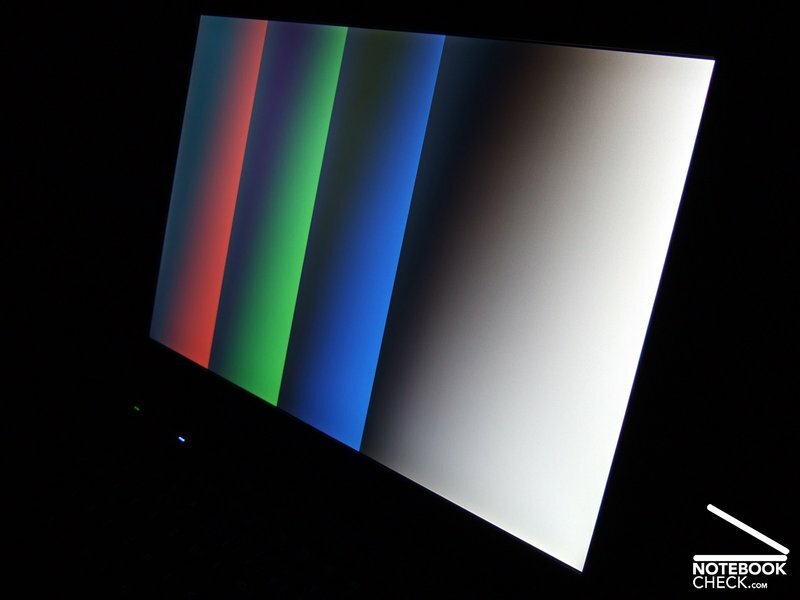 This corresponds to an average energy demand of 17 Watt – up-to-date Intel notebooks do not demand much less. If you want to work unplugged for a longer time, you should consider buying a supplement battery. Depending on its capacity the battery runtime is doubled or even tripled. The supplement batteries can be attached at the bottom side of the notebook, similar to a docking station. 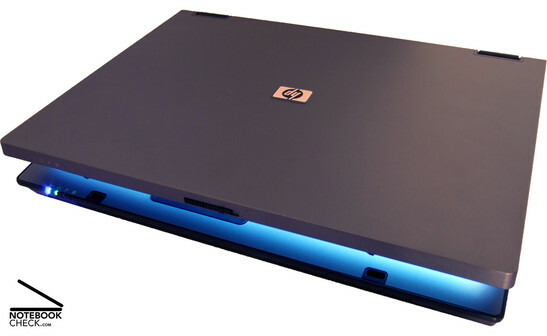 They can in general work with most of HP's business notebooks. Btw. : Also the main battery of the HP Compaq 6715s is completely compatible to a lot of other business notebooks by HP. 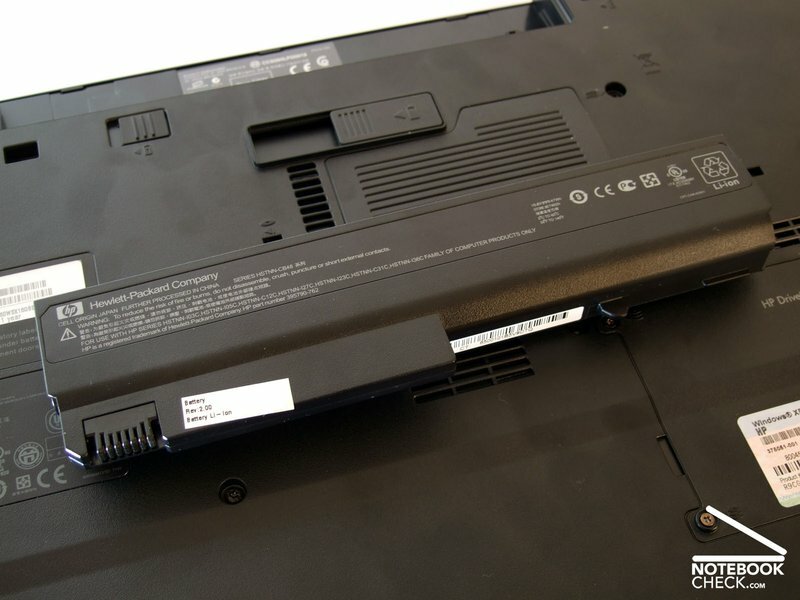 Whilst the battery of the HP Compaq 6715s has according to the label only a capacity of 47 Wh, other batteries identical in construction of many other business notebooks have a capacity of 52 Wh. If you order another main battery you should choice one with more capacity, if the price does not differ to much. 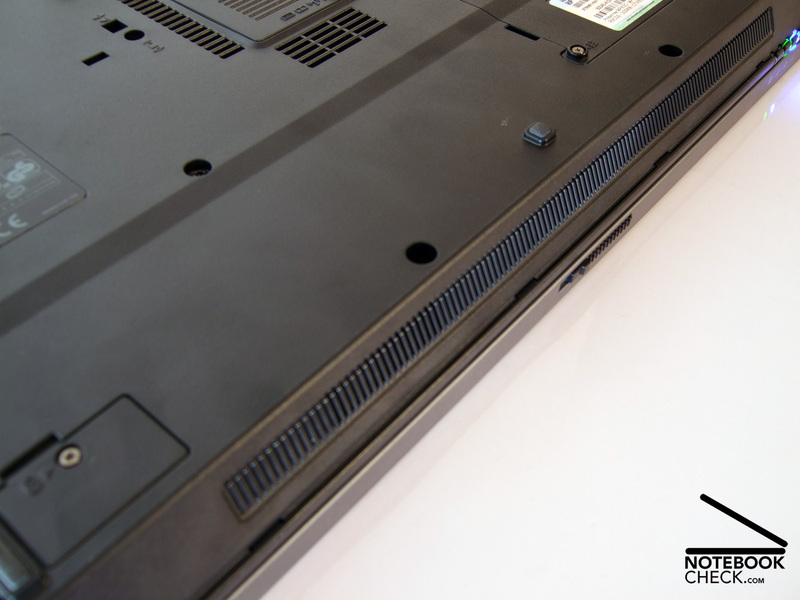 HP saves money in the design of the Compaq 6715s wherever they can. The warranty of the Compaq 6715s is only one year, hardly any accessories are included, the cheaper AMD technology is used instead of the wide-spread Intel platforms, a battery with lower capacity is used, and finally the interface equipment and the security features where reduced. Nevertheless, the final product is alright, because the features mentioned above are desirable, but not obligatory. On the contrary, the most important aspects for daily use are ergonomics, durability, and user-friendliness and the Compaq 6715s can score points in these aspects. First of all the workmanship of the case is excellent without any flaws. Then the keyboard is typical HP good. 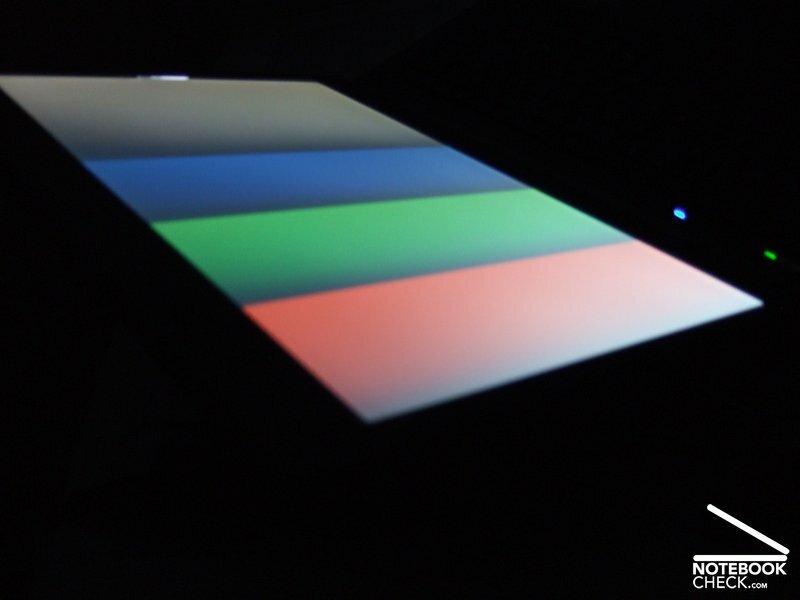 Furthermore, the notebook is silent, and is equipped with a non-reflecting display with good brightness. These key-aspects of a classical office notebook are not easily imitated in a similarly good way at the same price by others. Whatever you work on with your HP notebook, it quickly turns out to be a reliable partner for your office. 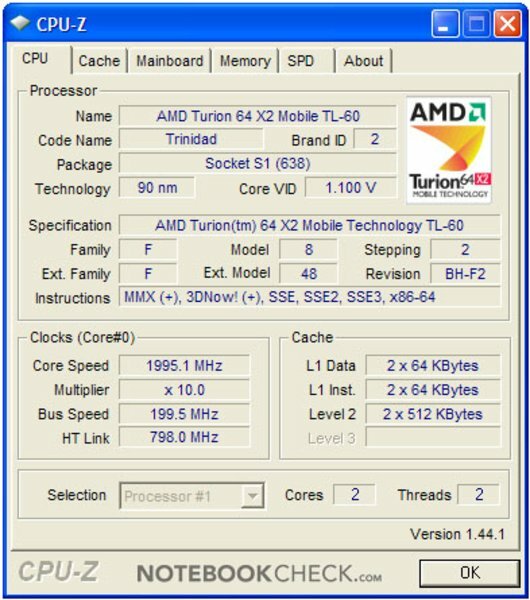 Inside the HP Compaq a Turion X2 CPU by AMD always provides sufficient performance for daily use. However, the only one GB RAM has to be shared with the integrated ATI video solution. This is no problem under Windows XP, but, should you intent to upgrade to Vista, we recommend to first upgrade to at least 2GB RAM. Many thanks to the company Misco Germany Inc., who kindly provided us with the reviewed notebook. Here you can also buy this notebook. The HP Compaq 6715 has a business-like, decent design. ... you can attach a supplement battery. Depending on the model, the battery runtime is doubled up to tripled. Beneath a maintenance cover there is an empty memory slot and a WLAN module by Broadcom. The two speakers located at the front have an acceptable sound. All the more unusual: The burner has a Lightscribe functionality. 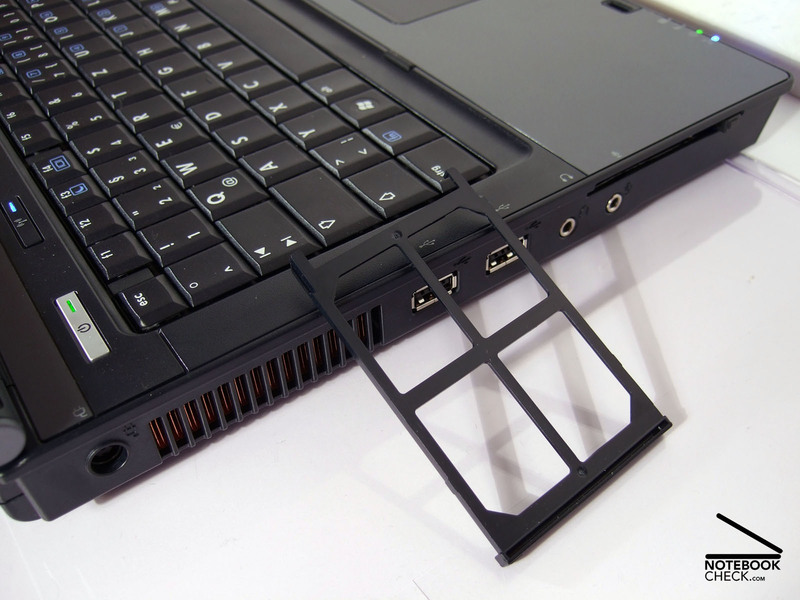 Many users would prefer more than two USB ports. 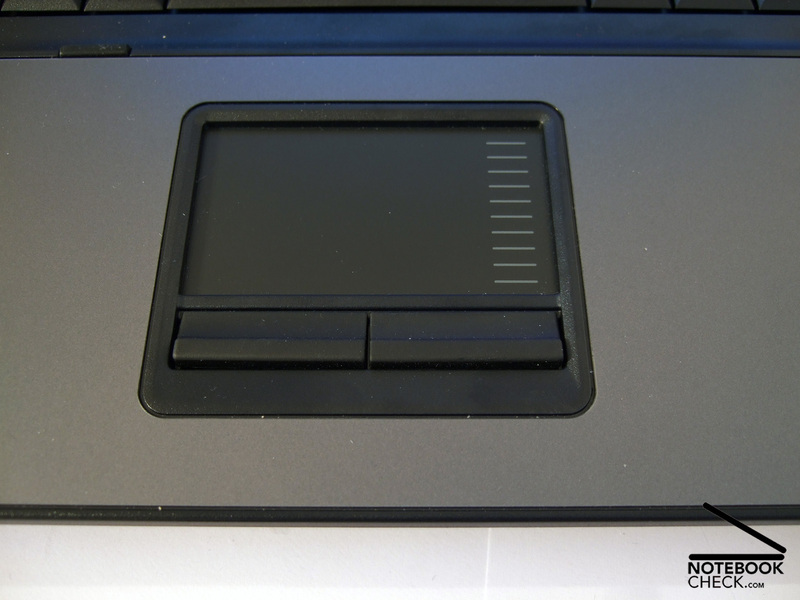 Expansion cards can be inserted into the PCMCIA slot. ExpressCards are not supported by this reasonable notebook. 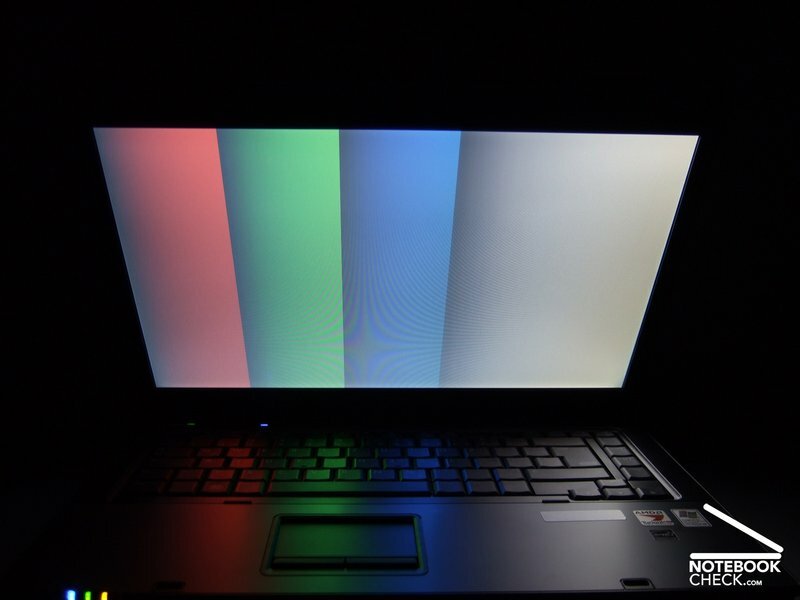 The reviewed notebook was equipped with AMD technology. 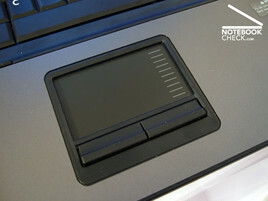 The touch pad is clearly separated from the palm rest areas. 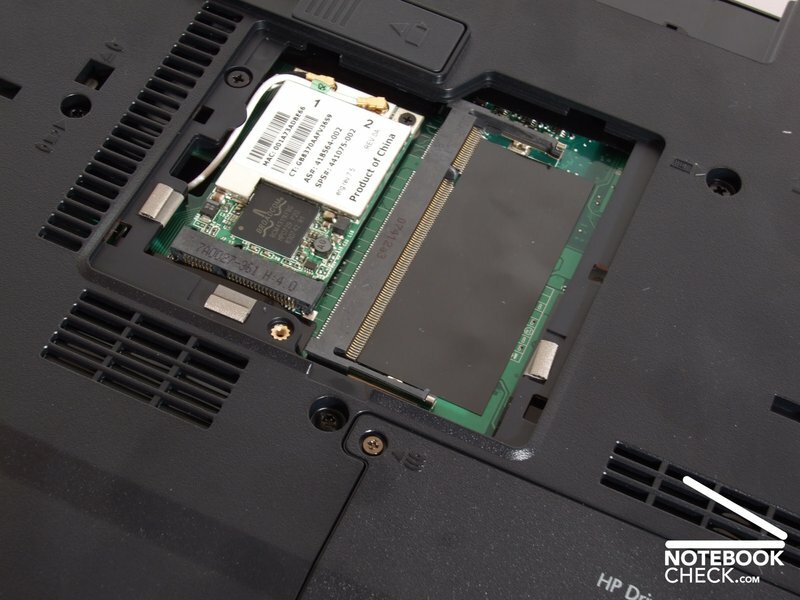 It worked reliable throughout our test, but, not as precise than we are used to from more expensive HP notebooks. WLAN and Bluetooth can be easily activated and deactivated by switches. At the first glance the indicator LEDs at the front informs about battery charge, hard disk activity, WLAN, and operation mode. The keyboard is anyway one of the best of this category. 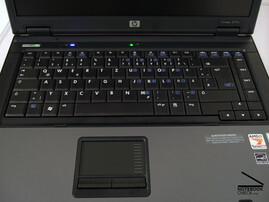 Only the used plastics do not appear to be of that high-quality than of more expensive HP notebooks. At the back the case is clearly thicker, so, typing gets even more user-friendly. Being only sparsely equipped with interfaces even strikes this simple design. It really does not look modern. Instead functionality and stability dominate. The reviewed notebook was equipped with a 160 GB hard disk.